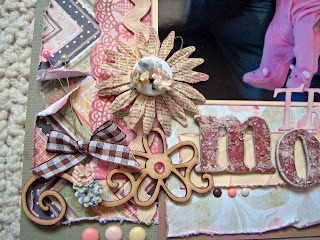 Welcome to the A Walk Down Memory Lane Blog Hop! 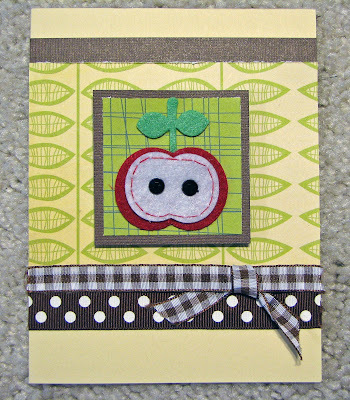 The DT is going to be posting a "sneak" of their September projects on each of their blogs today. Visit each blog and leave a comment to be entered into a drawing to win a prize from the A Walk Down Memory Lane store. 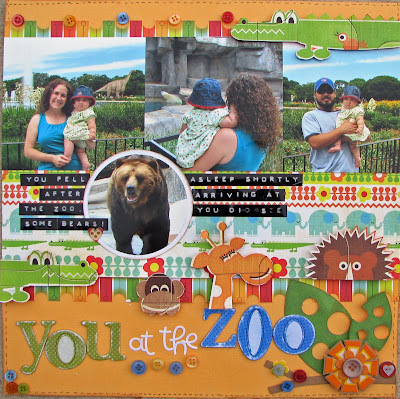 If you haven't checked out The Scrappy Shack yet you are missing some great diecuts! Lori does an amazing job at designing every diecut so it is unique. They are so fun to use too. 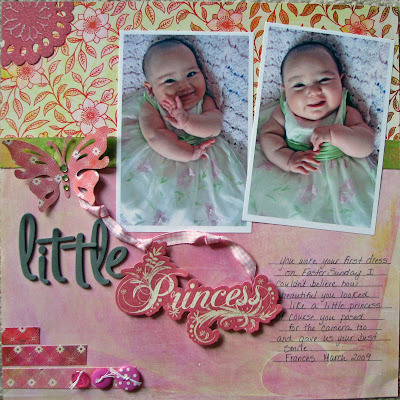 I am going to be working on some pages this weekend with her great diecuts. I have some super cute summer ones that will go perfect with Frances's swimming pics. Well actually I worked on a few LO's this weekend, but two are for my September 1st reveal at A Walk Down Memory Lane so you'll have to come back then to see them :). 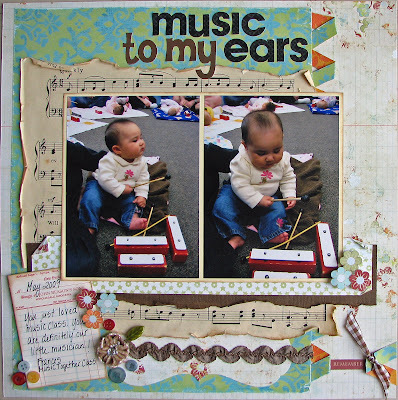 My other LO I created for the Treasured Scrapbooking Treasured Hunt contest. Unfortunately it didn't get chosen to go to the next round :( so it will be my last for the contest. It doesn't make me love it any less though. It is my new favorite LO. 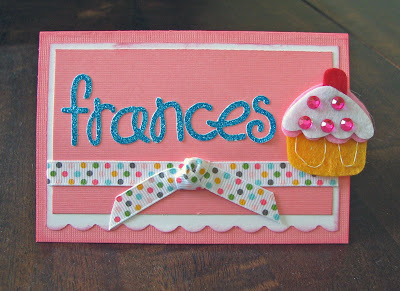 I used my new Frances Meyer and Pink Paislee stuff on it. 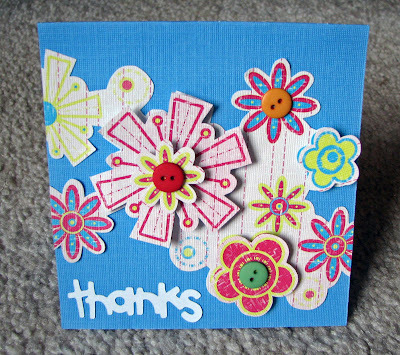 I made the little flowers by drawing flowers on the patterned paper, cutting them out and layering them. 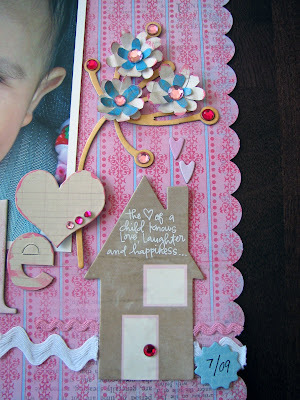 I used a Frances Meyer rubon quote on the house and a rhinestone to make a little door. Then I used some little hearts as the smoke from the chimney. I thought of the house because Frances makes our home happy. The journaling says: The sound of your laughter is the sweetest sound I have ever heard. It reminds me that's there no one I would rather be than your mommy. Wow has it been a super busy week! I went back to school on Monday. I am a high school biology teacher. So I started school and Frances started daycare. I have been so sad to leave her in the morning. I wake her up at 6am and she is so confused. It is so cute, but also breaks my heart. She looks around the room with half closed eyes like a little ground hog coming out of it's hole. And her hair is all messed up all over. She laughs at me though so that is good. Then either me or my husband drop her off at daycare, then I cry and think about her all day. The first day she didn't eat or sleep at all. I felt so bad. She is getting into the routine now though. The worst part about it is that I only see her for about an hour and a half a day now. We don't get home until 5pm and she usually goes to bed at around 6:30. I just miss her so much during the day. Hopefuly I'll get used to it soon! 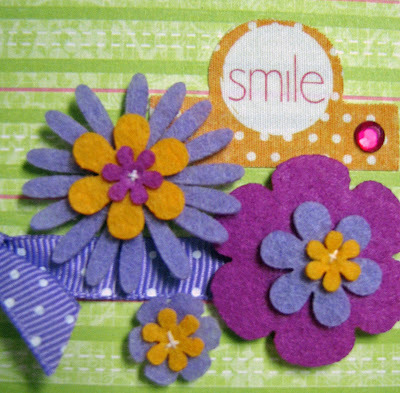 I went to scrapbook expo today. Super fun! I shopped and shopped and shopped. I spent the most money at the Melissa Frances booth. The layouts she had on display were just so adorable! I have so many ideas now. I also bought two cricut cartridges, some new SEI paper, some Jillibean Soup stuff and lots more. Lastly, on Friday I posted my Friday sketch at A Walk Down Memory Lane. Hope it inspires you! Simply Obsessed is having a birthday and we would love for you to celebrate with us! 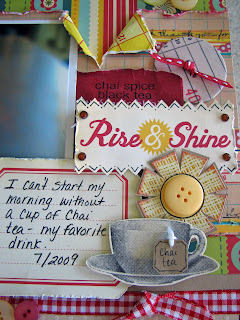 It all starts tonight on the SO blog with our birthday celebration blog hop going on right now! 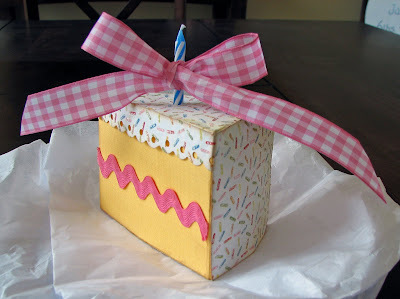 Hop around and visit the blogs of the DT and SO members for a birthday related project. If you just found me it all started on the SO blog. It is my daughter Frances's first birthday in December. It's never too early to start planning right? 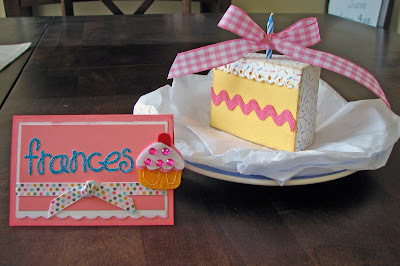 I made this place setting and "slice of cake" to put on her high chair. 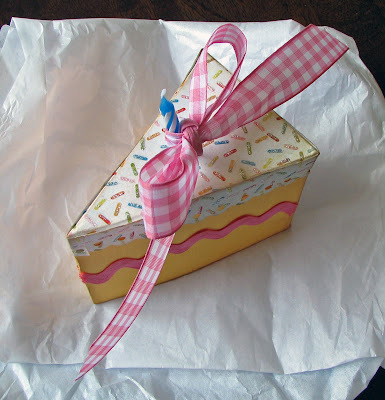 The cake is made from yellow cardstock and Basic Grey Cupcake paper. I added some ribbon and ricrak from my stash. I also added stickles over all the sprinkles, but is kind of hard to see in the photo. In real life the whole slice is shiny! The fun continues next week with a circus themed crop. There will be challenges, games, fun, and more on the Simply Obsessed message board. I can't wait! Hope to see you there! It is reveal day at AWDML. The design team revealed some great projects today! Join us on the forum and check them out. I also posted a new sketch yesterday on the AWDML DT blog. Everyday the DT posts a new project or sketch. 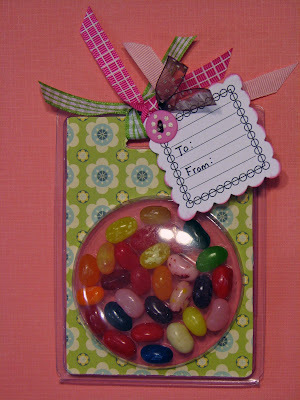 Today I posted the Saturday tutorial on how to make this cute little candy holder and the button! 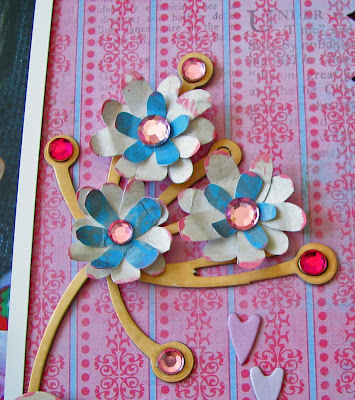 I just checked the Treasured Scrapbooking message board and I made it to the 2nd round of the Treasured Hunt! As London Tipton would say- Yay Me! I can't wait to start on the 2nd challenge. For this challenge the journaling has to include "If I were honest with myself..."
Hmmm, so much to think about. Ladies and gentlemen (hmm, maybe gentlmen?) step right up to the greatest crop on Earth! Come on over to the Simply Obsessed Big Top for a three ring crop that you won't want to miss! SO is turning two this month and to celebrate were cropping circus style! The DT has been hard at work thinking up all sorts of fun challenges and games. 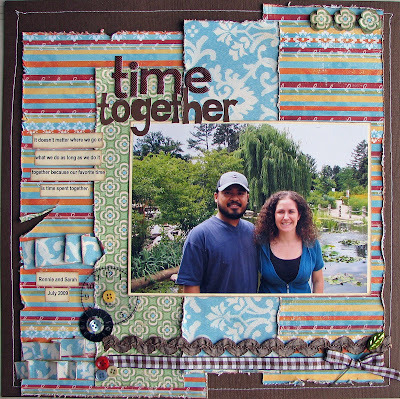 It all begins at August 16th 6pm central when a blog hop will start at the SO blog. There will be cropping, fun and prizes! We hope to see you there. I hope everyone is having a great Saturday! It is hot here and only going to be getting hotter tomorrow. We cooled off with a giant Sonic Cherry Lime-aid. It was so good. Have you ever been to Sonic? It is sooooo addicting! Me and my husband were sitting in the car drinking our huge cherry lime aids (half price during happy hour so you have to get the route 44!) and I was talking about how they have over 16,000 flavors and how many flavors were we going to try and how long it would take us to try them all when my husband turned to me and said "Are we filming a sonic commerical right now?" I nearly spit out my lime aid it was so funny (guess you have to see a Sonic commercial to get it!). After Sonic we took a trip to Babies R Us to get Frances ready for her 1st trip to daycare. Boo who who whoo. I am so so so sad about this. School starts Aug. 17 and I am not ready for it at all. Hopefully it will only be for a year and then I can stay home with Frances. So when the first Treasured Hunt challenge was posted I knew it was perfect for a LO about going back to work. 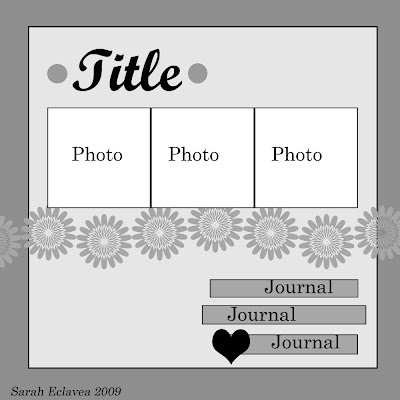 journaling that includes the words "I wish someone had told me that..."
I LOVE how my layout turned out and love the journaling even more. When I started writing I just kept going and going with tears running down my eyes. I can finally read it without crying (almost). My husband read it and said "are you trying to make the judges cry?" So if I make to the next round or not, I have this great LO to share with Frances one day. But cross your fingers for me anyway it would be great to move on! I hoped and hoped the day wouldn’t come that I would have to leave you and go back to work. But as the day creeps closer and closer I wish someone had told me how to prepare for this. I wish someone had told me just how much I would miss your smile, your laughter, the way you rest your head on my shoulder when you get tired. I wish someone had told me all that I am about to miss. First steps, first words, our naps together, just holding your hand. I wish someone had told me that 7 months would pass in the blink of an eye. That one day I would be holding a tiny bundle in my arms and the next a crawling, playing, beautiful little girl. Maybe if someone told me that I would have cherished our time together a little more and complained about your crankiness a little less. Because maybe if someone had told me that I would be a little more prepared for this day and maybe, just maybe my heart wouldn’t be breaking quite as much as it is now. I love you Frances. Always. Forever. You will always be in my heart even when we are apart. I looked at the little ole' blog today and realized it had been a week since I posted. Oppppss! I have to start school again next week and am very (very is putting it lightly) upset to leave Frances. I have never been away from her! I am sick with worry and have not been sleeping or eating well at all. And I have been trying to spend every moment with her day and night so not much computer time. I know she will be fine and I know it's me who won't, but I still worry. 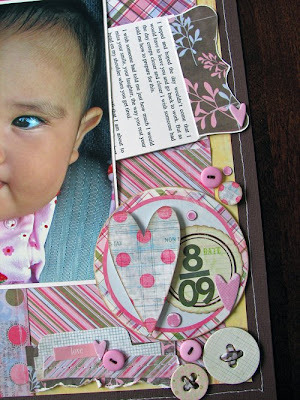 I submitted my favorite LO to the Treasured Hunt 2009 contest at Treasured Scrapbooking. It is a TOP CHEF like competition where a certain number of contestants are chosen to move onto the next round until there are only three left standing. Talk about pressure! Now I know how the contestants on American Idol feel! I was super excited to make it past the first round and am working on my LO for the second round now. 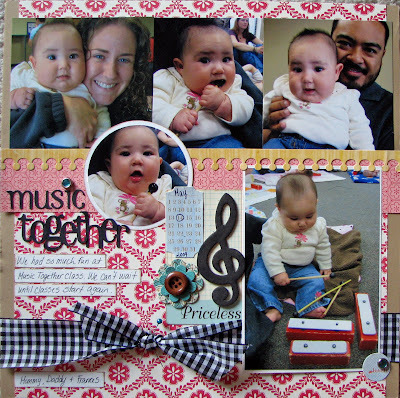 I can only post my LO's here and at Treasured Scrapbooking so if you want to see them you know where to go. This is the LO I submitted for the first round.I know you have seen it before, but I think it deserves another look see especially since Frances look unbelievably cute! I posted my August reveal at Simply Obsessed. I just love the Lilly Bee! I was so excited to use this kit. I was also the sketch artist for this month. Here is my sketch and LO. 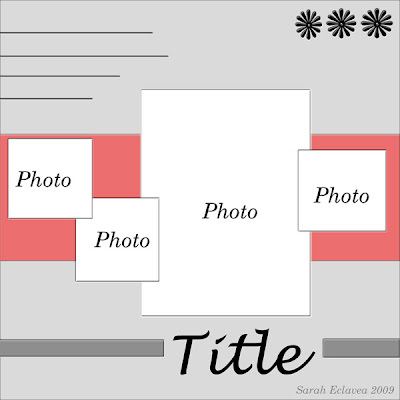 I am the featued blogger at A Walk Down Memory Lane every Friday in August. I will be posting a sketch and project. Here is my first sketch and project. If you want to learn how you can win a prize by using this sketch check out the AWDML blog! I finished another 5K last Wednesday. This is Frances and I waiting for the start of the race. Thanks for looking. Have a great weekend! I looked at the calendar today and I was SHOCKED to see it was August. Where did the summer go? The weather here has been so cool. I only used my pool pass once this whole summer. So unless I want that to be a $50.00 trip to the pool by my calculations I have to go 6 more times before summer ends. Ohhhh Frances, care to go swimming today? 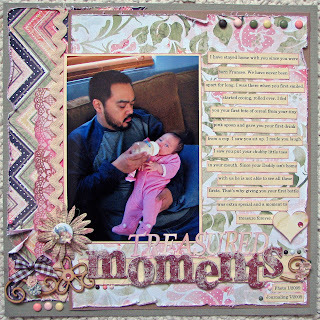 The 1st is reveal day at A Walk Down Memory Lane and Butterfly Crafts. 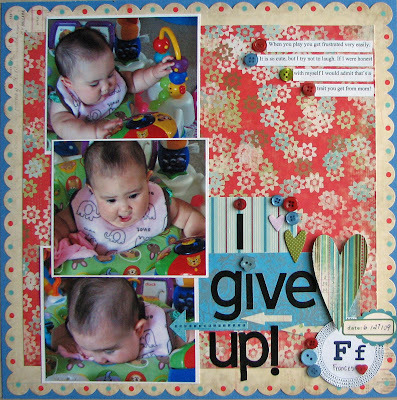 I also finished my last July LO for Scrap That. I used some October Afternoon Cherry Hill papers for these photos of Frances at the arboretum. She loves being outside. She is becoming a little nature girl and I couldn't be happier about that. 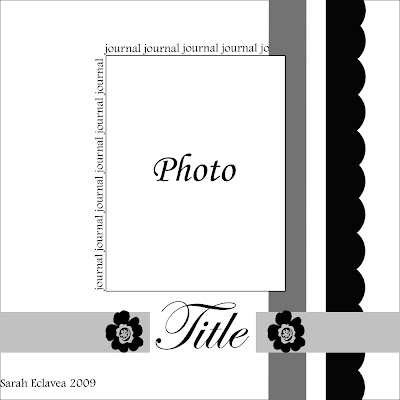 I love this Basic Grey June Bug paper! It is so fun. 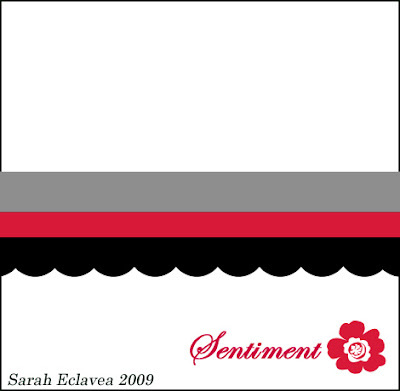 This dog paper was perfect for photos of our wiener dog Kody givin her kisses. He loves to "kiss" her. Everytime my back is turned I find him laying one on her. She even sticks out her tongue when he walks by. I guess she thinks she's a doggie too! 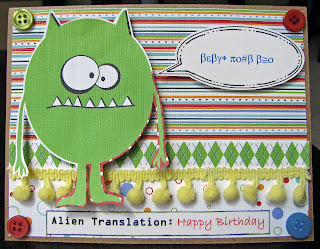 And I made this cute little card using Daisy Bucket My Little Monsters collection. Daisy Bucket is the featured manufacturer this month at AWDML so all products are at least 15% off. I think this is my new favorite LO. I usually do "cute" pages so I tried really hard to try to make this one pretty. I am really happy with the way it turned out. The photo does not even do it justice. It is so much prettier in real life. The new challenge is to create a LO about a favourite food or drink. I chose my favorite drink Chai tea. I LOVE it. Hot, iced, as a latte or frap, it is my favorite drink. I would buy a Starbucks Chai Latte everyday if funds were unlimited! But at 5 dollars a cup I would rather save my money for more scrapbooking supplies and buy some tea bags at Jewel (hehehe). 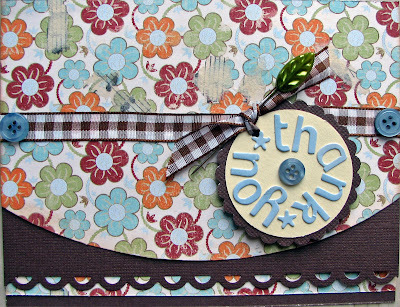 I used my July kit from Scrapbook Circle for this LO. I thought it would be fun to put the wrapper from the tea bag on the page so I ripped the front and put it on. Now my whole page smells like a cup of chai too. 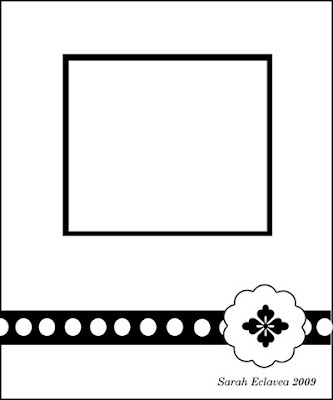 Hmmm, that could be a new scrapbooking trend- pages that are scented! 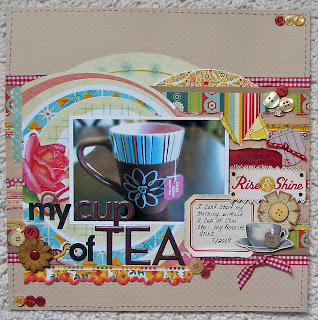 I also cut out that cute little tea cup and made my own little tea bag to hand off the side. 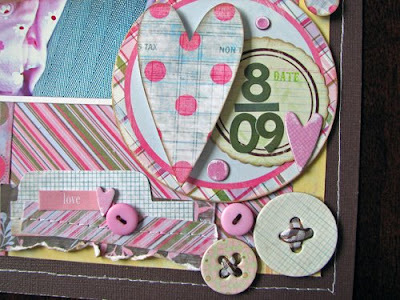 If you want to play along with this challenge upload your LO's to the gallery, leave us a link in the comments of the Butterfly Crafts blog or e-mail them to Butterflycrafts1@aol.com by August 30th to be in with a chance of becoming the September guest designer and winning a gorgeous ribbon Kit from the August Sponsor Angel Crafts. Good luck!